University presidents, conference commissioners and athletics and campus leaders at 130 Division I Football Bowl Subdivision (FBS) institutions are still mainly comprised by White men, according to a new report by The Institute for Diversity and Ethics in Sport (TIDES) at the University of Central Florida (UCF). Titled “The 2018 DI FBS Leadership College Racial and Gender Report Card: Collegiate Athletic Leadership Gets a D as it is Still Dominated by White Men” the report, published Wednesday, found that both White men and women, held 85.4 percent of the total FBS presidents, athletics directors and faculty athletics representatives. The percentage of women in these positions increased by 2 percent from last year’s study to 19.5 percent, while 7.3 percent were filled by African-Americans, 4.8 percent were filled by Latinos and 2.3 percent were filled by Asians, according to the report findings. Though the overall results were hardly impressive, racial and gender hiring did improve in several areas over the past year, including the increase in the number of women presidents and presidents of color. The report also found that though some campus and athletic leadership positions achieved small increases in diverse hiring compared to last year’s data, only 14.6 percent of athletic leaders were held by people of color and 19.5 percent by women. There were no female Asian or Native America athletics directors at FBS colleges and universities. In terms of student-athlete data, the percentage of football players of color for the 2018 season was 60.2 percent, a 0.8 percent decrease from 2017. White football student-athletes for the 2018 season reached 39.9 percent, a 0.87 percent increase from 2017, according to the report. Out of 136 FBS faculty athletic representative positions, 14.7 percent were people of color, 31.6 percent were women and 85.3 percent were White. In regards to conference commissioners, 90 percent of the FBS conference commissioners were White men. Though 862 schools and 10 conferences signed the pledge as of July 2018, there has been a minimal impact on ethnic and gender diversity, as shown in the report findings. According to the report, only four Latina and Asian presidents in the FBS were hired in 2018, and 10 percent of the subdivision presidents in total are minorities. 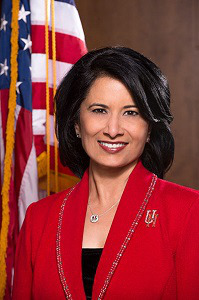 Dr. Renu Khator, president of the University of Houston, said colleges and universities across the nation need better representation from women and minorities. “Particularly in today’s environment we need more holistic, comprehensive and diverse ideas and approaches” in university leadership, Khator said. “That’s what diversity brings to the table whether on the corporate board or in any sector. This is especially true at universities where we are responsible for addressing the critical need of creating a culture that embraces respect and diversity,” she added. 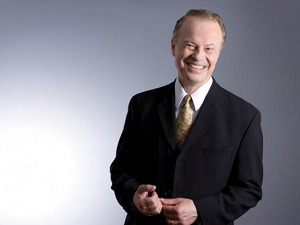 Lapchick said that higher education institutions should mandate a diverse pool of candidates for any major positions in the university, including faculty positions. “I feel it’s important that each university is obliged to present that athlete they’re recruiting with a list of people in the athletic department broken down by race and gender as well as the graduation rate of student athletes in that department, also broken down by race and gender,” he said. Doing this will help students decide what college and university best suits their needs, while also pushing athletic departments be more “steadfast” in hiring candidates that represent their student body, Lapchick said. This year’s report is the 25th issue of the Racial and Gender Report Card by TIDES and is the second year that hiring practices among all 130 FBS schools received a “grade” for diversity in university and athletic leadership.